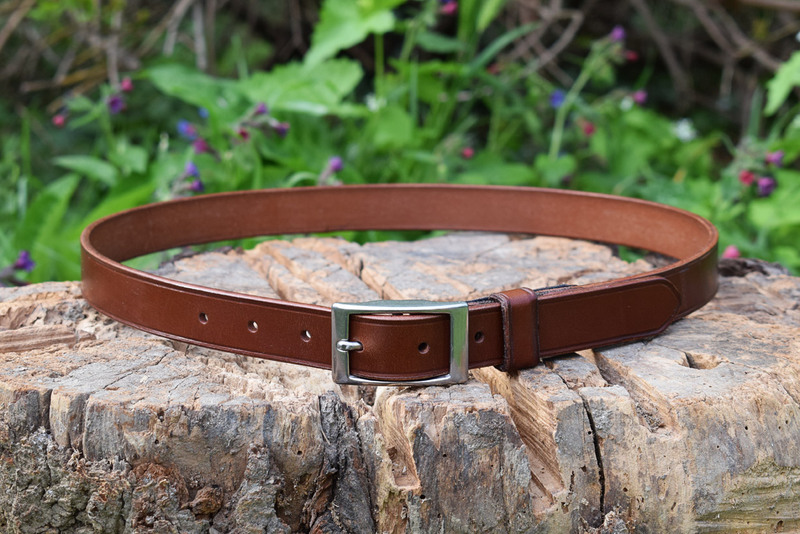 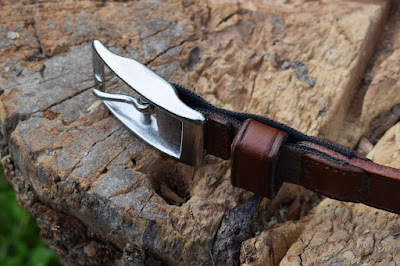 Leather belt with elastic insert and stainless steel, nickel-free buckle. Made on measure in conker leather, one inch wide. This is a unisex model.